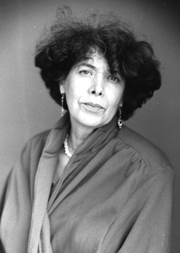 Assia Djebar is an acclaimed novelist, poet, playwright, translator, filmmaker and educator. Born Fatma-Zohra Imalhayene in the coastal town of Cherchell, in Algeria, she adopted Assia Djebar as the pen name for her first novel, La Soif, and has used it since. Her themes of collective action for political change, feminism and rebellion against patriarchy have earned her respect around the world. She went to Paris, and in 1955 was the first Algerian woman accepted to the prestigious Ecole Normale Supérieure de Sèvres. She received an undergraduate degree in history from the Sorbonne in 1956. Dr. Djebar has written over a dozen novels. Her works have been translated into 15 languages, including Turkish, Arabic, Russian, Norwegian and Chinese. She worked as a teaching assistant at the University of Rabat, in Morocco, and then taught North African history and chaired the French department at the University of Algiers. In 1999, Assia Djebar earned a doctorate in French Literature and Civilization from the Université Paul-Valéry Montpellier III, in France. She is currently Professor in the Department of French at New York University. 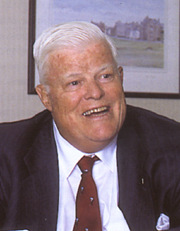 Born in Montreal, John Dobson earned his undergraduate degree from McGill University in 1949, and an MBA from the Harvard Business School in 1952. He established the Formula Growth Fund in 1960, an investment company which focuses on emerging growth stocks in the United States. His financial contributions have benefited entrepreneurship programs at universities across Canada, including Acadia, Bishop's, Brock, Saint Mary's, Université de Montréal, Western Ontario and Mount Allison. John Dobson is a great friend of the John Molson School of Business at Concordia University where he is supporting the Formula Growth Investment Room in the newly launched Investment and Trading Centre, the Dobson Program for Technology Entrepreneurs, the MBA Case Competition for many years and the Kenneth Woods Portfolio Management Program as mentor. Julio García Espinosa is a leading facilitator of Cuban cinema, film theorist and film director. His 1969 essay For an Imperfect Cinema helped define the scope of new cinema in Latin America. Born in Havana in 1926, he received his early training in filmmaking at the Centro Sperimentale in Rome, from 1951 to 1954. Returning to Cuba to work in film and radio, he went on to become one of the founding members of the world-renowned Instituto Cubano de las Artes e Industrias Cinematograficas. From 1982 until 1990, he was director of the Havana International Latin American Film Festival. In this role, he supported many Latin American filmmakers struggling to work outside the commercial film industries. 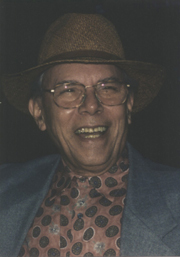 Espinosa played an integral role in what critics have called the golden decade of Cuban cinema. His method of cultural decolonization, the creation of a cinema that both demystifies itself and demystifies Cuban history, succeeded in carving out a distinct space for Latin American cinema. He has long been an advocate for the democratization and popularization of art and its means of production. Seamus Heaney is an esteemed poet, essayist, teacher and Nobel laureate in poetry. He has been called the most important Irish poet since Yeats. Born in 1939 in Mossbawn, north of Belfast, Ireland, Seamus Heaney first came to public attention in the 1960s. He was one of a group of poets that subsequently became known as a Northern School within Irish writing, poets who shared the fate of being born into a society deeply divided along religious and political lines. He has reflected upon the violence of Northern Ireland while avoiding conventional terminology on the issue. 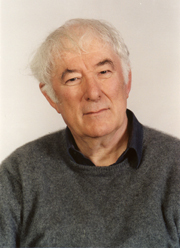 Through his long-time involvement with a theatre company called Field Day, Heaney has contributed greatly to the vigorous cultural debate which has flourished in Ireland over the past two decades. Since 1982, he has been associated with Harvard University and, in 1984, he was named the Boylton Professor of Rhetoric and Oratory. In 1989, he was appointed to a five-year term as Professor of Poetry at Oxford University. He was awarded the Nobel Prize for Literature in 1995, and was named a Commandeur de LOrdre des Arts et Lettres by the French Ministry of Culture in 1996. Julia Levy is a research scientist and business leader, founder and former CEO of a leading Canadian pharmaceutical company, QLT Incorporated. Born Julia Coppens in Singapore, she completed her undergraduate degree in biology at the University of British Columbia in 1955. She went on to earn her PhD in microbiology from University College, London, in 1958. She is a Fellow of the Royal Society of Canada and has received numerous awards for her scientific contributions. She was a professor of microbiology and immunology at the University of British Columbia prior to founding Quadra Logic Technologies in 1981. 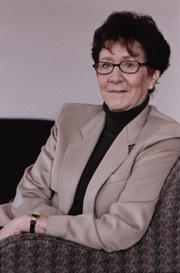 Under Julia Levy's leadership, Quadra Logic Technologies, now called QLT Inc., became a pioneer in the field of photodynamic therapy. Over two decades, the pharmaceutical company developed light-activated drugs for treating age-related macular degeneration and cancer. The scientists are now working on a new program to treat auto-immune diseases such as alopecia and psoriasis, using a second-generation photodynamic drug, as well as a cancer program to combat drug resistance. Dr. Zewail is the Linus Pauling Chair Professor of Chemistry and Professor of Physics and the Director of the Laboratory for Molecular Sciences at the California Institute of Technology (Caltech). 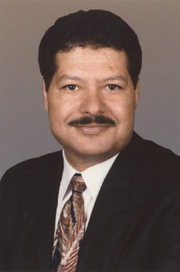 Dr. Zewail is internationally recognized for his pioneering work in the development of the new field, femtoscience, making it possible to observe the movement of individual atoms in a femtosecond, a split second that is a millionth of a billionth of a second. He has literally changed our view of matter, ushering in a new era for discoveries and creating a new discipline with applications in the sciences. This development holds great promise in the areas of high technology and biomedicine. For this groundbreaking work, Dr. Zewail was awarded the 1999 Nobel Prize in Chemistry. Dr. Zewails contributions have brought about a revolution in chemistry and adjacent sciences, said the Nobel citation. Dr. Zewail's honors and awards are from around the globe. In the same year he received the Nobel Prize, he was awarded the Grand Collar of the Nile, the highest Order of Egypt, and postage stamps were issued to honor his contributions to science and humanity. His other honors include the Robert A. Welch Prize, the Wolf Prize, the King Faisal Prize, the Benjamin Franklin Medal, the Peter Debye Award, and the E.O. Lawrence Award, among the more than 50 other prizes he has received. He holds Honorary Degrees from the USA, UK, Switzerland, Egypt, Belgium, Australia, Canada, India and Italy. He is an honorary member of many academies and societies.